It's 1861 China in turbulent times. General Su Can leads a military force to save a prince from the large fortress in the mountains. 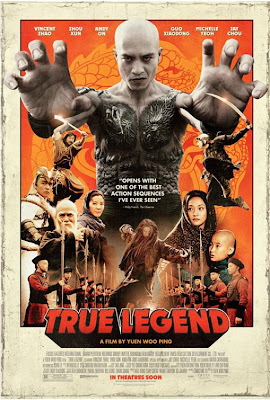 Director Yuen Woo-ping who was the martial arts choreographer of the Matrix trilogy, Crouching Tiger Hidden Dragon and Kill Bill Vol. 2 does not disappoint in the amazing opening sequence. Arrows, swords, axes, are flying while warriors are flying around trying to avoid falling off the many cliffs on their battle ground. The prince is saved and wants to reward his general with a governorship. But he gives it up to his half brother Yuan Lie while he goes home to practice his martial arts. Five years later Su Can (Man Cheuk Chiu) is married to Ying (Xun Zhou) Yuan's beautiful sister. They have a little boy who loves to draw pictures. Su Can's father had killed Lie and Ying's father in battle but has taken the children in and raised them as his own. Unfortunately Yuan never felt the love and returns now a master of the deadly five venom style to take vengeance and kill his adopted father. Yuan Lie threatens his sister and nephew to lure out his brother. During a showdown between them, Yuan's powers derived from sticking his blackened hands into a box of scorpions and snakes infects Su Can with the poisons which makes his arm useless. Ying believes that her brother will not hurt her son, so when Su Can falls into the raging river she dives in too. The boy thinks his parents are dead, but Ying manages to drag him to safety where she meets a healer Sister Yu (Michelle Yeoh who is looking more beautiful than ever with age). Sister Yu saves Su Can's arm and lets them hide out in the mountain retreat in exchange for Ying making wine. Su Can falls into spell of self doubt and begins to drink too much. Ying bolsters her husbands confidence until one day he follows the God of Wushu (Jay Chou of the Green Hornet) to a training ground. The God's friend the Bearded Man (Chia Hui Liu) tells him that if he can defeat the God, he will be able to go back and save his son being held captive by his uncle. Everyday Su Can comes home battered and tired, but Ying is happy that her husband is training again. Only later does she discover that companions are only an illusion in his drunken imagination. She takes off to save her son on her own. You would think that that would be all that happens in Su Can's adventure, but even after exacting revenge on his brother in law and saving his son, the loses from the battle put him into a deep depression which he medicates with more drink. His son must beg for money to feed and shelter them. They meet up with an old friend of Su Can's from the military, and they battle their martial arts skills against the Russians sort of like in Ip Man, raising the pride of the Chinese against the evil white devils. Look for David Carradine in one of his last roles as a fight promoter. 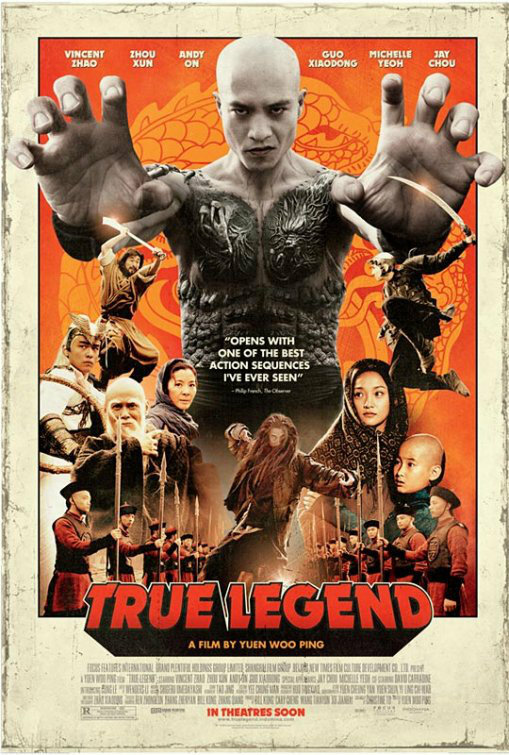 The fight choreography sequences are a visual treat even with all the wire work that most fans of this genre will enjoy although regular movie goers may find it a bit slow. In the end Su Can's constant inebriated state helps him to becomes the author of the Drunken Style of Marital Arts.